Today I’m crafting again. I seem to be on a roll at the moment, either that or I’m ‘procraftinating’ when I should be doing housework! First up is a card for Freshly Made Sketches. #384. For the stripes, I scored some lines and added a water coloured little piggy and sentiment for the rectabgle shape. Next is a card for the April CAS Stencil and CAS Christmas challenges. I used some transparent texture paste from Ranger over a stencil on some black card stock. The elf is from an MFT set called ‘Santa’s Elves’ that I coloured with my SU Blends. I die cut it to make a tag. Next up is a car for the CAS Watercolour Apirl challenge. I used both the solid and outline flowers form the Unity Stamps set called ‘Donna poppies’. I used CPD Rockin Red ink for the main flower. The sentiment is from Clearly Besotted called ‘Poppy’. Next up is a card for the Penny Black Saturday Challenge. This is my first time playing ith this challenge, I love thier stamps. I used one of the adorable inages from the Hedgie Friends set that I coloured with my SU Blends and fussy cut out. I used an ALtenew stecnil with SU Illuminate ink and a little bit of thread at the top. Lastly a very different style of card for me. Its for the current challenge over at C.R.A.F.T. Challenges #510. I used 3 types of DSP from a SU pack called ‘Tea for Two’ with some paper ribbon under the flower and a bit of fringed ribbon under the stamped sentiment from Simon Says Stamp called ‘Amazing’ (hoping the stamped sentiment counts as the image part!). Well that’s it for today, thanks for looking and have a great day. Hello and a Happy Easter to you. I’m taking advantage of the 4 day break from work to get my craft on; oh and to eat hot cross buns and easter eggs! Warning, this is another long post as I’ve played along with a variety of challenges and made 6 cards – I will keep it a bit briefer by not putting my process, just the cards and products used. Card #1 is for the current CASology challenge #339 – leap. The stamp is from Stamping Bella called ‘Uptown girl Bentley gets blown away’; not sure where the sentiment is from; I borrwed it from a friend without noting the company. I think this girl leaped to catch these balloons and stop them from flying away! Card #2 is for Seize the Birthday #163 – birthday anything goes. The floral stamp was borrowed from a friend (again I failed to note the manufacturer) and the sentiment is from Simon Says Stamp called ‘Amazing’. Isn’t this what everyone want’s to hear on their birthday?! Card #3 is for As You Like It which is all about your favourite animal. I used a Penny Black stamp called ‘Hang on tight’ and the sentiment is from Altenew ‘Bad days happen’. Cats are my fav animal; I’ve grown up with them since I was 18 months old; my life would not be the same without them in it. My current cat is a 13 yr old ginger boy called Oscar, who has nearly lost his eyesight but still gets around as if he can see and he often gets onto things and then looks like he is desperate for help to get down just like this guy! Card #4 is for Just Add Ink #453 – choose two. I chose bunnies and flowers. I used a stamp set from CAS-ual Fridays called ‘Somebunny’ and added a bit of movement to the bunny and balloon with a technique I saw Jennifer McGuire demonstrate. The flowers are little punched flowers using a Stampin Up retired trio punch. Card #5 is for Addicted to CAS #157 – Humour. I used an Altenew set called Peony Bouquet’ and a sentiment from Hero Arts called ‘Snarky Mix & Match Messages’. I love how you first see the Congrats sentiment, then when you look a bit more closely you see the snark! Lucky last card #6 is for current Male Room Challenge #109 – anything goes with an optional twist of an OLC. I didn’t do the twist. I used a stamp set from Katzelkraft called ‘Les Jungles’, a sentiment from Altenew called ‘Bad days happen’ and a stencil from CAS-ual Fridays. I find myself saying this phrase to my hubby often when he gets frustrated with the speed of our internet! Well, thanks for looking and enjoy your Easter. Well hello there – it’s another Sunday where I’m getting my craft on and playing along with a stack of challenges – warning – this is a long post! Challenge Card #1 is for AAA Cards #137. This card was super easy and quick to make. I used a stencil from Visible Images (borrowed from my friend Michelle) which I sponged in Catherine Pooler Designs inks, stamped a sentiment from CAS-ual Fridays ‘Shenanigans’ then used a stitched rectangle die to cut out the panel and mounted onto a white card base – done! How pretty are these colours? Challenge Card #2 is for CAS Colours & Sketches #316. I stamped some floral images from a new Altenew Stamp set called ‘Ornate foliage’ which hasn’t been released yet, but I was lucky to receive a set when I was at the Melbourne Altenew workshop earlier this month. I coloured one main image in with my Altenew markers. 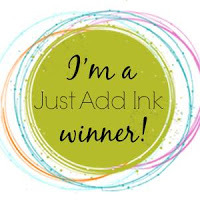 The sentiment is from Stampin Up ‘Part of my story’ which I punched out and popped up on my card base. Challenge Card #3 is for Just Us Girls #483. I used the Visible Images butterfly stencil once again sponged with Catherine Pooler Design inks and another sentiment from CAS-ual Fridays ‘Shenanigans’ stamp set. This time I did a double stitched rectangle die cut and offset the middle panel to be slightly ‘off the edge’. I love these blues and greens. I played with a new stencil set from Altenew called ‘Layered Dahlia’ that I sponged in Altenew inks in Rose Quartz and Puffy Heart. I’ve never tried a layered stencil, but was surprised at how easy it was. The sentiment is from Hero Art called ‘Snarky mix and match messages’ inked in Purple Wine. I used my largest stitched rectangle die on the panel and mounted it on a white card base. Love the soft feel of this card. Challenge Card #5 is for two challenges: Fusion Card Challenge #Cheery eggs and Just Add Ink #452. I was inspired by the colours of the eggs in the jar, so used some alcohol inks in the rainbow colours. I then punched out some circles from the AI panel to match the JAI sketch, stamped a sentiment from the Altenew ‘Bad days happen’ set which I popped up with some dimensionals and mounted it all on a white card base. Don’t the circles look like bubbles? Well, I think that might be it for today – thanks for looking (bearing with me through this long post) and have a great day. Hello there, it’s time for another Watercooler Wednesday Challenge and Dawn is our lovely hostess this week with an All About Occasions Challenge. I decided to create a card that was all about being thankful for having someone in my life. I probably need to make quite a few of these cards to thank all of those in my life who provided support and encouragement when my mother passed away in January this year. For my card, I created an Alcohol Pearls background in green (can you see the pretty shimmer?). I then used a new die cut from Altenew called ‘Leaf frame cover die’ and stamped the sentiment from Stampin Up called ‘Amazing Life’. I actually used the negative die cut pieces on this card. Not to be wasteful, I used the other parts of the die cut on this next card. The sentiment this time is from Kaisercraft called ‘Cherry Blossom’. Come join in the fun and make a card for your favourite occasion. Check out the projects that the other artists at Watercooler Wednesday Challenges have created, then take the challenge and link your creation to the challenge post. We’d love to have you join us. You have until Tuesday, 16th April at 10:00 Melbourne Time or Monday 5pm US Mountain Time to link up your project. I’m going to enter these cards into The Male Room challenge #108 which is all about spring, as to me spring is all about vibrant green foliage and grasses and the Sweet Sketch Wednesday 2 #157 challenge as I think my framed leaves and sentiment fits the sketch. Well, this month is we have another challenge over at Christmas at Sweet Stamping challenge blog with an optional twist to make it monochrome. My card this month uses a green monochrome look with some new alcohol pearls. I added a touch of neutral (black) with a scene die cut of a house and some trees. I’ve opted for no sentiment as I wanted the AI background to be the hero of this card. Please pop over to Christmas at Sweet Stamping to see all the lovely DT inspiration, I’m so happy to be part of this team and looking forward to having lots of Christmas cards and decorations made before we reach December. You have until Tuesday 7th May at 6pm (UK time) or Wednesday 8th May 3am (Melb time) to enter. Now I had a negative panel left from the die cut, so decided not to waste it and I created another AI background and laid the negative over the top for a different look. I love it when I can get a 2 for 1 when using die cuts!